As the drilling work increases it is becoming very important that professional make different measure to ensure that drilling fields becomes cleaner. Over the years there have been many efforts made to keep the field clean and help the environment in cleaning. Vertical dryer (also known as Verti-G cutting dryer) is a vertical centrifuge, one of the most effective waste management equipment for oil or synthetic drilling operations. The chip dryer can effectively clean the drilled chips, recover the largest drilling fluid, and reduce the amount of drilling waste that must be transported. 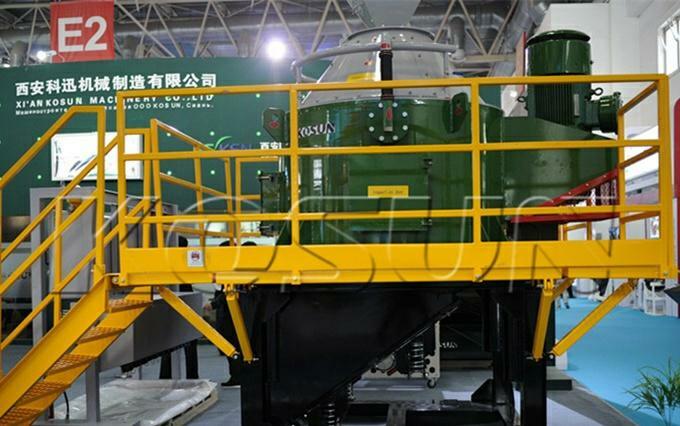 Vertical cutting dryer is an effective device to reduce costs and improve efficiency. However, if the local environmental policy allows 5% OOC standards, TDU can also be used for similar work. Install a vertical cutting dryer to recycle valuable drilling fluids and re-use them by drilling into an active mud system. Vertical drilling and cutting dryers are the means for generating centrifugal force for the release of the rotating force. The equipment is popular around the world because of its effective drying and can ensure that work is done in a very efficient and faster manner. The main purpose of the equipment is to ensure that the drilling solids are wasted. If the dryer is used correctly, the base fluid can be recovered efficiently. Most of the time, vertical dryers can effectively recover more than 95% of the fluid and ensure more efficient work. Cutting dryers play an important role in improving low-volume application performance in drilling waste management. When the high torque is generated due to low lubricating oil, the machine automatically stops. It has a good combination of walkways, lifting cranes, and easy maintenance. The motor of the cutting dryer is explosion-proof and can save any accidents of the workers. The control panel for the machine is certified and of high quality. If you are looking for cutting dryers for drilling applications, they are available in a variety of sizes.